2013 was a big year for ruffle cakes. 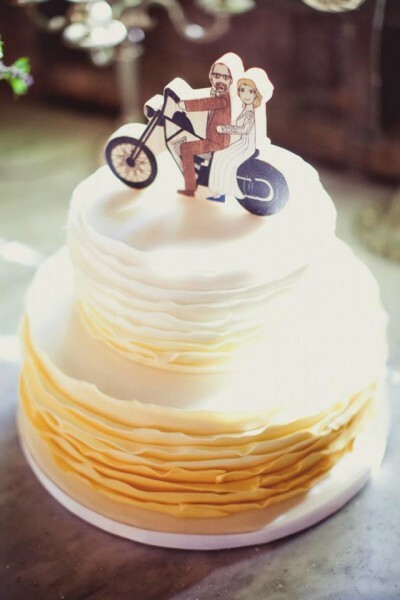 This cake has a yellow ombre theme to it, with a pretty awesome custom cake topper to make it even more unique! 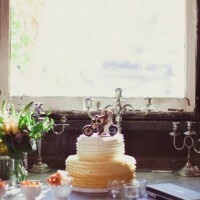 I truly love it when brides make it their own and do something different!